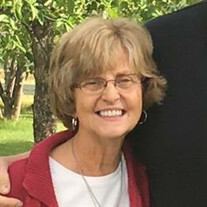 It is with great sadness we announce the passing of Wanda Petersen, beloved Mother, Grandmother and friend, who passed away unexpectedly in her home on Monday, November 27th 74 years of age. A joint celebration of life for Rich & Wanda Petersen will be held Monday, December 4th at 2:00pm from the Pomeroy Hotel. In lieu of flowers donations can be made in Wanda's memory to the Fort St. John Hospital Foundation.